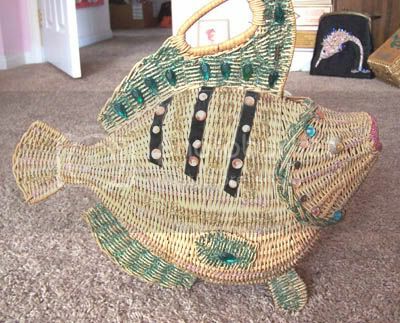 Wicker Fish Purse. 1950s. 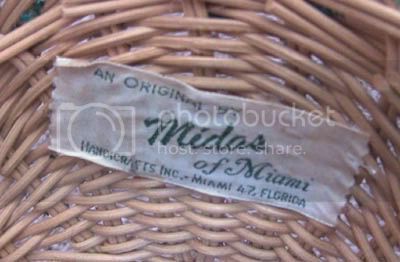 Maker: Midas of Miami. 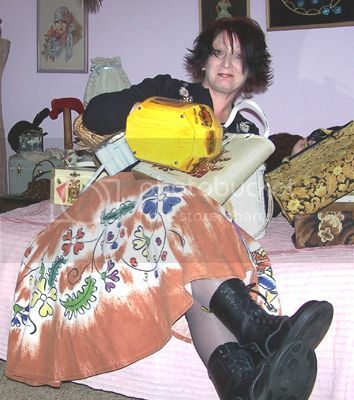 I thought for sure I’d posted this treasure before, but I did a search of my blog, and found that I hadn’t yet shared her. 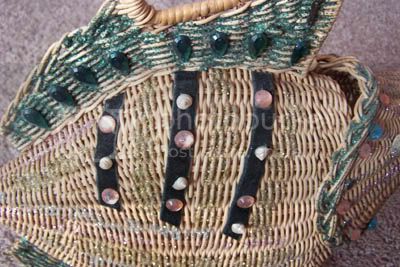 She’s decorated on one side with green and gold glitter, colored faux gems, black velvet ribbon and tiny shells. Her lips are outlined in pink glitter. 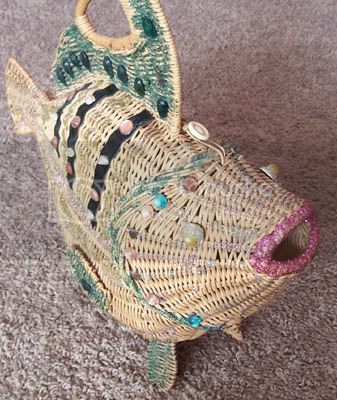 I read somewhere that Joanne Woodward carried a fish purse like this in an old film, but I’ve never seen the evidence. 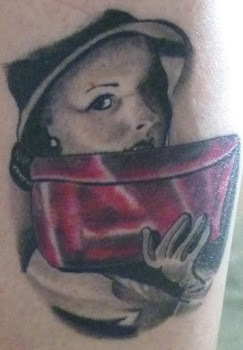 Midas of Miami is my favorite purse manufacturer. I wish I knew more about the company. You’d think the information would be out there, considering the quantity and diverse selection of these gorgeous purses for sale on the Internet and at vintage shows, but I’ve never heard from anyone who glued those shiny gems and sprinkled all that fabulous glitter. If you know a former Midas of Miami employee, please e-mail me at wdager(at)sbcglobal(dot)net. I’d love to get the scoop! Important note: Thanks to my buddy and fellow vintage aficionado Maxine, who pointed out that are a few Midas fakes floating around. 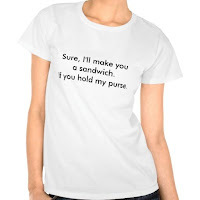 Caveat emptor!